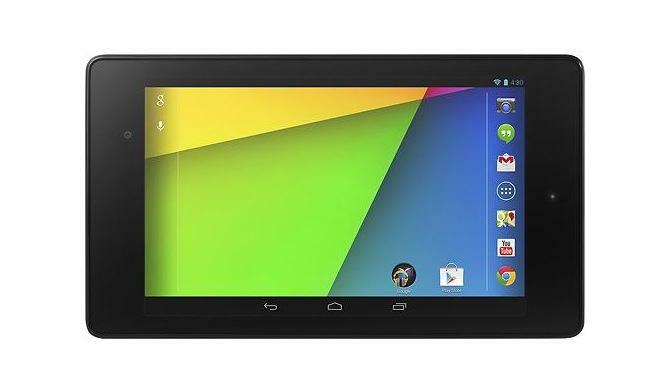 Check out our full review of the Google Nexus 7 (2013) review. If anyone has any doubts that Google is prepping to unveil the second iteration of its Nexus 7 tablet this morning, they can put them to bed now – Best Buy has just added the device to its online store; specs, pics, everything. Available for pre-order, the Asus-made device is priced at $229.99 for the 16GB model and $269.99 for the 32GB version. All those recent leaks mean there are few surprises looking down the spec list of the new Nexus 7. The tablet is all set to ship with 4.3 Jelly Bean and comes with a 1.5GHz Qualcomm Snapdragon S4 Pro processor and 2GB of RAM. The screen’s resolution has been whacked up to 1920×1200 (from 1280×800), offering 178-degree viewing angles. And as expected, a new 5-megapixel rear camera has been added, while the front camera remains unchanged at 1.2 megapixels.. Weighing 11.2 ounces with dimensions of 7.9 inches x 4.5 inches x 0.3 inches, the updated model is a little slimmer and lighter than the first iteration. You can check out the full spec list by jumping over to Best Buy’s page here and hitting the specifications tab. 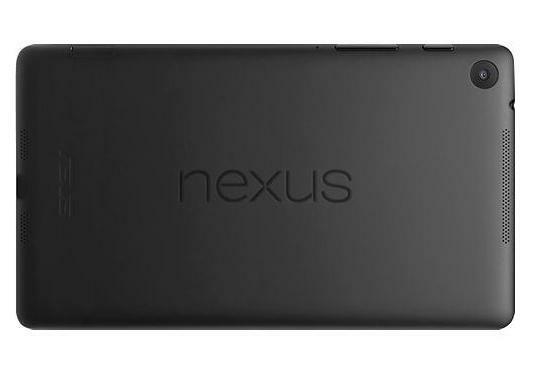 According to the store’s listing, the name stays the same – no Nexus 7 2 as some feared, not even the insertion of “new”. Nope, this is still the Nexus 7, only it’s looking a lot nicer now. One obvious physical difference is that the “Nexus” text on the back now runs longways, giving people at least one quick way to differentiate between the old and the new. The official unveiling of the new tablet is expected to take place at a special event in San Francisco this morning at 9am (PT), hosted by Sundar Pichai, head of Google’s Android and Chrome divisions. Pichai is also expected to give us the lowdown on Android 4.3 – it’s shipping with the new Nexus 7, after all – and could even pull the covers off a new version of the Nexus 4. Whatever happens, we’ll keep you posted.